The value of trust helps people choose who they associate and confide with on a daily basis. But what happens when a company is dishonest with their customers or acts unethically? This year, data breaches, information misuse, and scandal have plagued some of the biggest businesses in the U.S. And the results have been devastating. 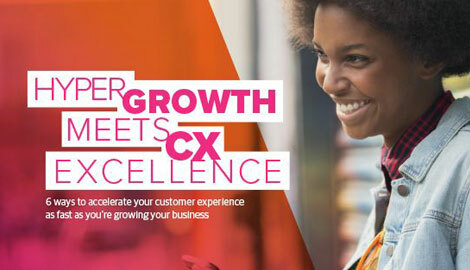 Accenture Strategy’s Competitive Agility Index reported that 54 percent of the companies surveyed experienced a decrease in customer trust, causing a conservative loss of $180 billion in revenue. The report pulled in 4 million data points to better understand how a decline in trust can affect a company’s performance. Here are three lessons we took from the research to show why customer trust needs to be a top business priority in 2019. A consumer’s trust in a company can be a strong and volatile thing. Just look at the recent controversy surrounding Facebook. In March 2018, Reuters reported that 51 percent of those surveyed do not trust the social media company. A B2C company launched a public sustainability event without consulting environmental experts. This hurt its stakeholder’s trust and the incident went viral. As a result, its trust score dropped by 8 percent in one quarter and the brand experienced a $400 million loss in revenue. And a B2B brand’s name became associated with money laundering allegations, which led to a drop of 9 percent in one quarter and $1 billion in lost revenue the following year. Customer: When it comes to brand selection, shoppers have plenty of choices. Ethical companies that deliver on promises can create great customer experiences and boost loyalty. But if a company fails to practice what it preaches, consumers may quickly flock to competitors that offer similar products. Employee: Workers want to be associated with companies that match their values. And if they disagree with a company’s actions or beliefs, they may consider new employment. The report predicts companies can increase engagement and productivity by creating a sustainable environment. Supplier: Larger supply chains are encouraging companies to become more aware of the conditions and origin of their products. Brands that consider the role their supplier plays (both its social and environmental role in the world) can work toward being an ethical and trustworthy company for consumers. Media: A tweet can be the downfall of a powerful player or brand. The report urges companies to “have an omnichannel view” of all its media and social outlets to monitor damage or misuse that can hurt its trust. Michael Lyman, Accenture’s senior managing director stated, “Our research proves that no company is immune to the impact of a drop in trust on the bottom line.” The work acknowledged that no company is immune to trust incidents, which is why preparation is key. Brands need to understand how others value or measure their trust, encourage a companywide value of trust, and fit it into their overall strategy, with the understanding that there is much to lose if people lose faith in them. From Ponzi schemes to Facebook’s data scandals, trust issues have always been a factor in how and where people do business. Accenture’s Competitive Agility Index takes an important step in raising awareness of just how damaging loss of trust can be. Companies need to consider not only the ethical concerns of being dishonest but the financial, cultural, and internal consequences as well. Maintaining trust and company values needs to be on every companies to do list in 2019.